Start a nginx container for explanation. We will run tools against the nginx process afterwards. Let’s say you want to “strace -p $nginxpid“. But strace is not available in nginx:alpine image. Login and install. Yes, it will work. But just old school. Why it’s old school? It will populate the env. Especially when the containers are in production mode. The more packages you have installed, the more issues you will get. Linux containers share the same linux kernel. 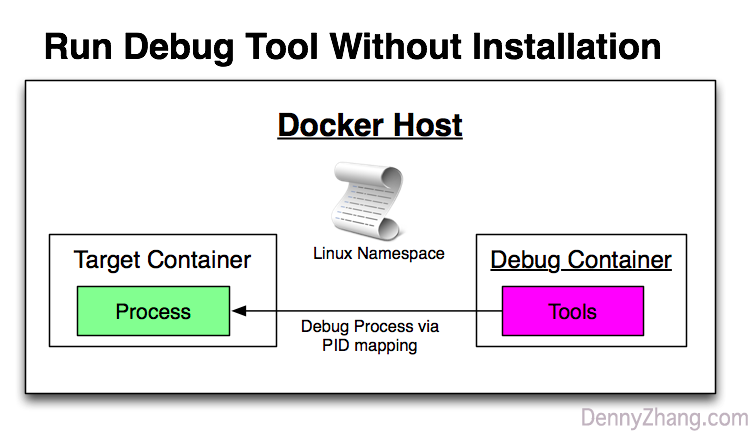 We can find the process id from docker host, then debug the process. 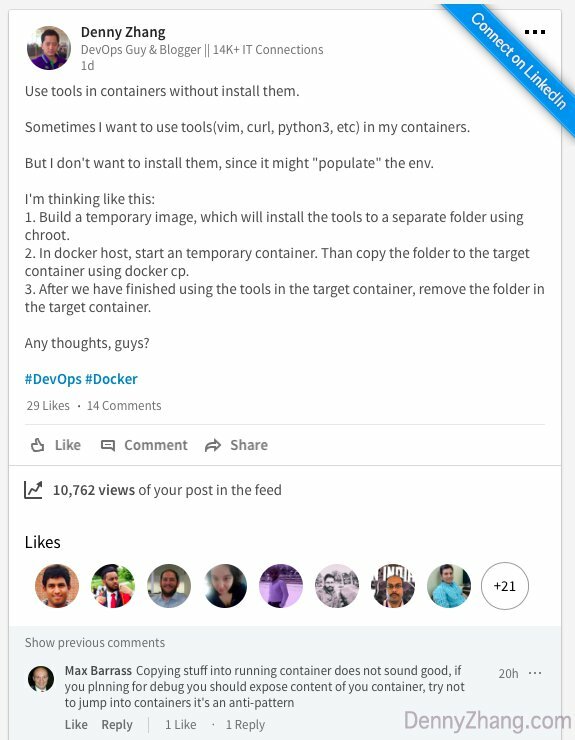 docker build -t strace . Start a temporary container(nginx-test). Then debug nginx process by strace. Don’t forget to destroy the container, when you have finished your debugging. Apparently I like method3 the best. In this article, we use strace tool. Surely we can support more tools like this. Not so difficult as you thought. Right, my friend? So why don’t you give it a try now? Or share this post with your colleagues?